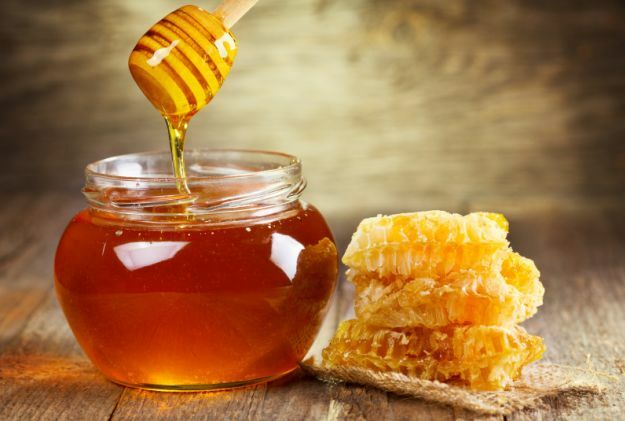 Honey is a delicious natural sweetener and we love using it for it's moisturizing properties in skin care products! A customer favorite that uses honey in the recipe is our Honey Bee Lip Balm. 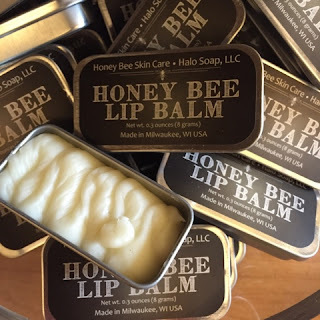 It's a creamy, emollient lip balm that takes advantage of the sweetness of the honey to give the lip balm a nice "flavor". Formulating a lip balm with honey is a little tricky (honey doesn't like to dissolve in oil!) but we've done a pretty good job at working out all the kinks and making this a great treat for your lips! mix the honey, cinnamon and juice from the lemon half in a small bowl. Apply the mixture to clean face and neck. Let it sit there about 10 minutes or so. Rinse. Mix the ingredients together and apply to face and neck. Leave on for up to 30 minutes. Rinse. Of course, we also like to use honey has a sweetener in our favorite lemon water recipe. We've posted this one before but it's too delicious not to share again! Do you have a favorite way to use honey? Let us know in the comments!